Steve. Are you out there.? This is Tracy Brown. I am a real person—not spam. I sent you an e-mail message a couple of days ago, but you never responded. I also left a comment on one of your blog posts that you did back in March 2015. Please check your e-mail or otherwise get in touch with me at tcbkjbbrown@comcast.net or (865) 482-1681. It is possible that my email message and my post to your blog got filtered out if you have really aggressive filters on both. I hope you are having a Happy Fourth of July. I stayed up too late last night and have missed most of it sleeping—but that is not so bad really—because it has been raining cats and dogs here in Tennessee for the past several days. Love and blessings to you Steve. Tracy, I may have not seen the e-mail or it might have gotten spammed without me seeing it. I will contact you this week. I will resend it to the email address posted on your blog in just a few minutes. It is a simple request that needs only a “yes” or “no” from you. Thanks—and be careful with those firecrackers!!! Indeed Padre Steve. Well said! 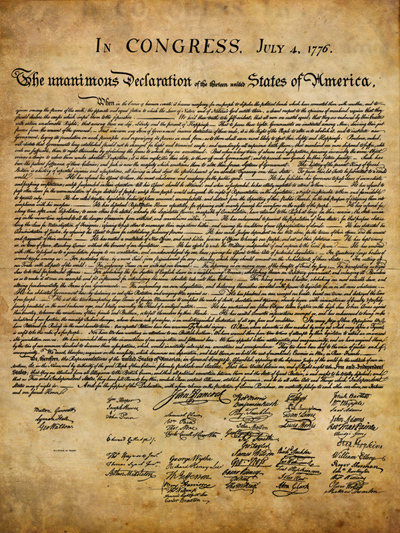 I wish you all the best on this Day the founders declared our Independence from all forms of Tyranny. Be well, Sir! And back at you Rob! happy 4th even if you need a 5th to really enjoy it!